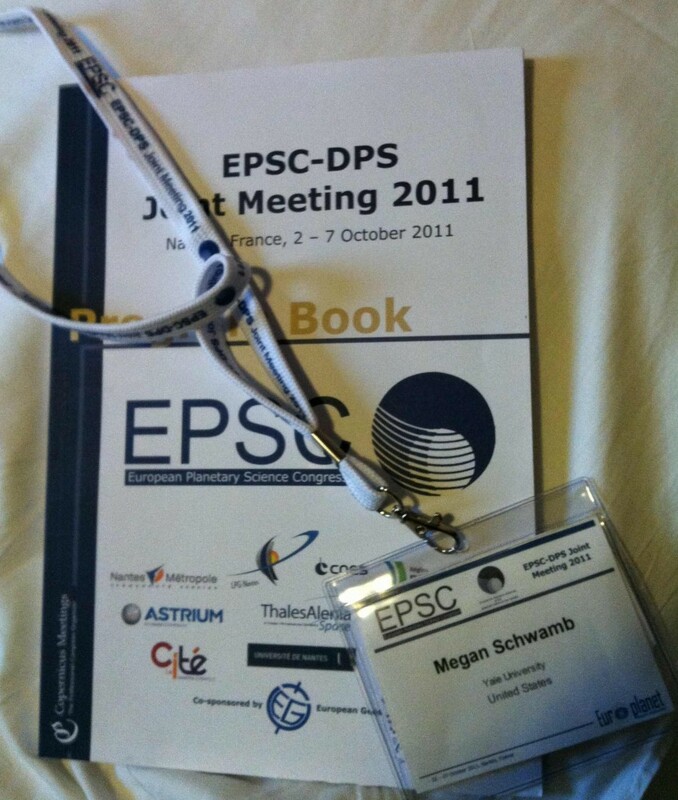 Just a quick note to say hello from the EPSC-DPS meeting in Nantes, France. Chris and I are attending the meeting this week in France. I’m presenting a poster on my Kuiper belt southern sky survey today. Tomorrow, I will be giving the Planet Hunters talk detailing our first results (thanks to all of your hard work and classifications). We’re quite excited to be sharing the results from Planet Hunters to the rest of the planetary science community. Conferences are great because we get to share the new and latest results and get feedback from our fellow scientists in the community. We are slotted to be the last talk in the CoRoT and Kepler results session and we’ll be live tweeting the session. 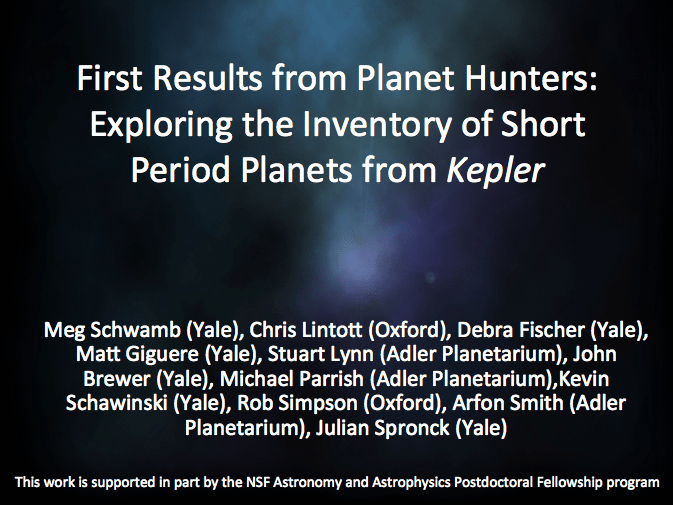 We’ll be giving a 7 minute talk (titled First Results from Planet Hunters: Exploring the Inventory of Short Period Planets from Kepler) with about 3 minutes for questions – so not very much time, but long enough to share the highlights from Planet Hunters including the two new planet candidates and the new results from my short period planet analysis.